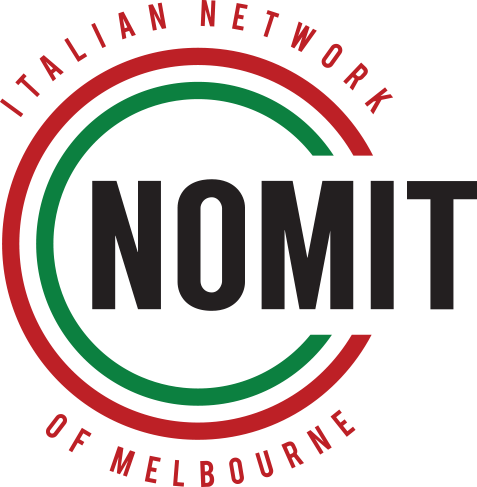 Nomit is an Australian non-profit organisation supported, amongst others, by the Italian Consulate in Melbourne and the Victorian Multicultural Commission. It was founded on the 20th of May 2013 by a group of young Italians with the aim of facilitating the integration of their fellow Italians in Melbourne and spreading a newer vision of the Italian culture, more contemporary and closer to the new generations. The founding members were then joined by other Italians living in Melbourne. Many of them decided to become active members of the Association, that in a really short time became a touchstone for many Italians in Melbourne. In 2014 Nomit was awarded the “Buone Prassi” (Good Practices) award from the Italian Ministry of Foreign Affairs and International Cooperation for its ongoing support towards their fellow nationals in Australia. In 2015 Nomit was accredited by the ACNC (Australian Charities and Not-for-profits Commission) for its efforts in the promotion of culture, education, health and social integration. Today Nomit keeps growing thanks to the passion, the commitment and the help of the many volunteers, supporters and members. The Italian culture and reality has undergone profound changes and transformations since the first Italian immigrants came to Australia. We believe that the key element order to spread this culture is the integration of the new Italian immigrants in the Australian social fabric and we are committed to promote this integration in any way, shape or form possible: artistic, social or work related. A true integration can only come from proper information. It is therefore fundamental to work towards providing assistance to the Italian community in Melbourne and information on the importance of a good proficiency in the English language to build a strong community that can count on its talents and possibilities. We want to create an environment through which we can share a younger, more contemporary Italian culture in which every Italian in Australia can find a sense of belonging.